Safe Helipad and Helistop Operations involve a multitude of personnel, like communication specialist, aviators, hospital security and the medical team. 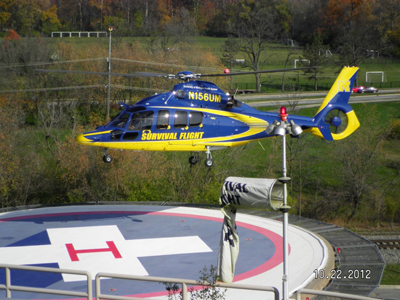 Click here to view the Michigan Medicine video for instructions on our helipad and helistop use. Click here to download a Pilot Training Completion Record.